1 double and 1 single room and sleeping in the lounge. 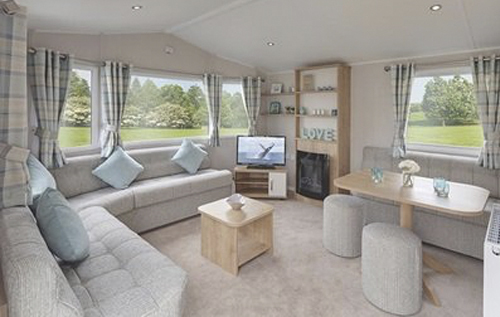 This two bed adapted holiday home has an access ramp and wider sliding doors. It is suitable for wheelchair users with assistance. There is a shower cubicle in the bathroom.